Modern homes are swamped with appliances! Isn't yours? The question is not whether they are convenient, but for how long! Although home appliances are made to stay with you for a long time, they still need services on a regular basis. What we are trying to do at our Around Town Appliance Repair in Pasadena, CA, is to make them stronger, more reliable, energy efficient and long-lasting. It's not a bad combination if you think that our services are affordable whereas new appliances are not and their problems will only cost you a lot in time, money and hassle. California is the land of surprises and opportunities and so is Pasadena. At the heart of the state, our home town is the hub of major cultural events, boasts for the Rose Bowl Stadium, the Pacific Asia Museum and the Norton Simon Museum of Art. We boast for the skills of our appliance service technicians, our ever changing infrastructures and our capacity to help local residents with their household appliance problems. 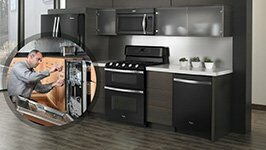 The excellent reputation of our Appliance Repair in Pasadena, CA, was not built over night. Consumers do want to test a company's reliability and capacities over a prolonged period of time before they make assessments. 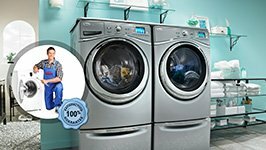 Today, our long clientele and the fabulous feedback we get from the people trusting our home appliance repair services speak for themselves. 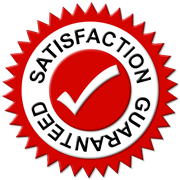 We focus on offering great customer service, timely repairs and full support to our clients and are compensated by your own satisfaction. 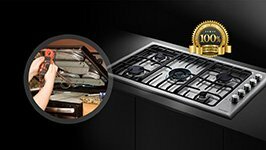 Appliance issues might be urgent or not. In either case, our appliance technicians take care of them as soon as possible. We fix dryers and washers, freezers and fridges, icemakers and ovens, microwaves and stoves, ranges and dishwashers! You only have to get in touch with our company once and leave everything else to us. We supply you with the repair parts when solenoids, belts, motors, switches, valves, heating elements and compressors are broken or worn. How fast do we replace them? At your convenience! 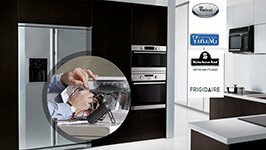 Our appliance service experts follow your schedule and try to assist as soon as possible. As an overall, we provide fast response services. Our policy at Appliance Repair Pasadena, CA, is to respect your timeframe, personal requirements and private sphere, but still offer suggestions that will benefit you. From casual and emergency repairs to new installations, you can trust our company with everything you need!